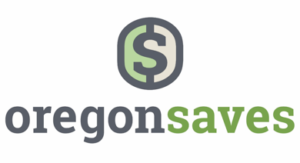 The State of Oregon has opened enrollment for OregonSaves, a new and voluntary retirement savings plan for workers across the state. According to state treasury officials, the program was created in response to research showing that 1 million Oregon workers — more than half of the workforce — lack access to a retirement savings plan at work. Employers that don’t already offer a qualified retirement plan are required to register employees for OregonSaves and facilitate employee use of the program. There are no financial obligations or costs to the employer. Employees are not required to participate in the program and can opt out at any time. If they do participate, their contributions are made through payroll deductions. Companies that already offer a qualified retirement plan may opt out of OregonSaves and aren’t required to participate. This month, business owners will be receiving instructions for registering their staff, and enrollment information about the OregonSaves program that they can distribute to employees. All Oregon workers are automatically enrolled and employers will be provided with worker registration numbers. Once setup is complete, employers then only need to make payroll deductions and provide updated employee information in the future. In 2015, the Oregon Legislature created the OregonSaves program by passing House Bill 2960. It tasked the Oregon Retirement Savings Board to develop the program with feedback from businesses, associations and the public. Legislators wished to avoid having a large, aging population with limited financial arrangements. The program has already completed a successful pilot phase. The mandate to implement OregonSaves is not immediate, but companies may offer the program immediately if they wish to do so, prior to the deadline to get on board. Companies face rolling deadlines based on company size. For more information about OregonSaves, including the process for opting out, log on to www.OregonSaves.com or check out the 2017 annual report.